Photo: Foxtail pine on Tawny Point, Bighorn Plateau, California. 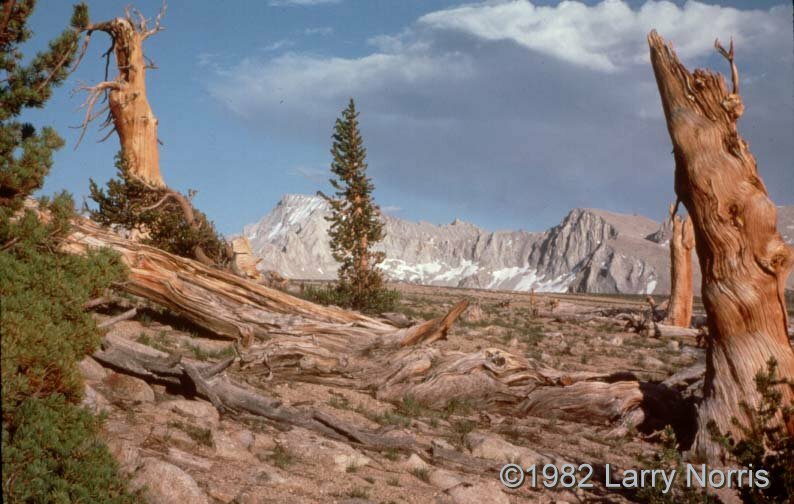 Carl Purpus, Plant Collector in Western America Foxtail pine on Tawny Point, Bighorn Plateau, California. Mount Whitney in background. Photo by Larry Norris, July 30, 1982. Mount Whitney, Inyo County, California.